Choosing a business entity is one of the first and most important decisions you will make when you start a new company. Your options include forming a partnership or a corporation, and your choice will affect the legal, management and tax obligations of the business. Partnerships offer advantages, such as pass-through taxation, but the partnership structure has several disadvantages as compared to corporations. A partnership doesn't give you any protection from liability for the debts of the business. These debts could be obligations that you knew about, such as loans your company took out to start or expand the business, or unexpected liabilities, such as a lawsuit. Even if you aren’t to blame, you could end up losing your personal savings, home, car or other assets. When you incorporate a business, you have limited personal liability, and the most you could lose is the amount you contributed to the corporation. In addition to personal exposure for your own actions, you are liable for anything your partners do on behalf of the business. If a partner takes out a loan in the name of the partnership and your company can’t pay it back, your personal assets could be on the hook. With a corporation, your personal assets are never at risk. If the company goes bankrupt, your stock will be worthless, but your losses are limited to what you put in. Partnerships have a disadvantage when it comes to the lifespan of the business because the partnership only lasts as long as all of the partners are alive. If one or more partners pass away, the partnership may end; conversely, a corporation is perpetual – if one or even all of the shareholders die, the shares pass to heirs and the corporation survives. When you have a corporation, you can generally sell your shares to anyone, at any time, unless you've signed a shareholder agreement that states otherwise. Each share of stock has specific voting and ownership rights associated with it. Transferring your partnership interest isn't nearly as simple because you need the approval of your partners before you can sell all or part of your interest. It's also more convenient for your heirs if they inherit stock rather than your partnership interest. Gimme Law: Corporation vs. LLC vs. Partnership, Compared – Which Is Right for You? South Carolina law regulates how a Limited Liability Partnership, or LLP, may form, operate, and ultimately dissolve. Unlike limited partnerships or general partnerships where one or more partners are personally liable for the debts of the business, an LLP limits liability for all partners. 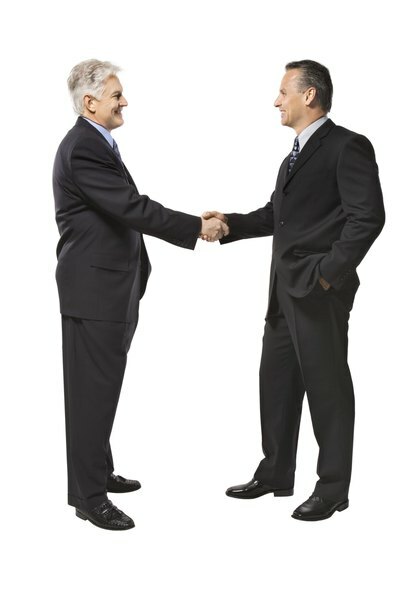 Each partner may participate in the management of the business, and receive a portion of the profits. S corporations are ideal for companies with few owners who would rather report the income on their own tax returns rather than have the company pay the corporate tax. However, S corporations s have strict regulations on the stock issued by the company. Just one violation can trigger a reversion to a C corporation, thereby nullifying the tax benefits granted to an S corp.
What Is a Sub S Corp? What Are Two Main Advantages That a Corporation Has Over a Proprietorship and a Partnership?